Deputy Foreign Minister sees cabinet's decision to freeze diplomatic negotiations as long as Hamas does not reform as a breakthrough. The Security Cabinet made the dramatic decision to freeze diplomatic contact with the Palestinian Authority following the signing of a reconciliation between the Fatah and Hamas organizations. Arutz Sheva spoke to Deputy Foreign Minister Tzipi Hotovely (Likud) about the ramifications of this decision. During the conversation, the deputy foreign minister was asked what the contacts that were cut off consisted of, since there are no ongoing negotiations. She replied: "It is clear that over the years of discussion on the PA's union with Hamas, thoughts on future negotiations have dealt with the fact that the PA represents only some of the Palestinians and that it is separate from Hamas. This has changed, and therefore the government made a decision that we will not allow the Palestinians to continue telling the world on the one hand that they want peace, while on the other hand they conduct a political campaign against Israel and embrace a terrorist organization, We're not willing to play this game anymore. The Israeli government has made a value-based statement here with broad implications - for when we sit with the Americans and talk about the future of the region and what our expectations are." "It is no secret that the Americans hoped that a regional agreement could be reached and there is no doubt that this undermines the ability of the Americans to force the Palestinians to come to the negotiating table as a result of a situation in which they have tied themselves to Hamas terrorists. Therefore, this is a breakthrough in Israeli perception, showing that the two-faced game cannot continue." "I think this is one of the most important decisions [Israel has made in] the last few years. For too long we have allowed the international community to make a distinction between Fatah and Hamas, and today we see where [the two organizations are headed," she said. Arutz Sheva asked if the Cabinet's decision did not accomplish the opposite and draw a clear distinction between Fatah and Hamas, as all of the Cabinet's demands were on Hamas. Does the lack of demands on Fatah - while Hamas is called upon to disarm, recognize Israel, release all Israeli hostages, and abide by past agreements - show that Israel is happy with Fatah outside of the reconciliation agreement? 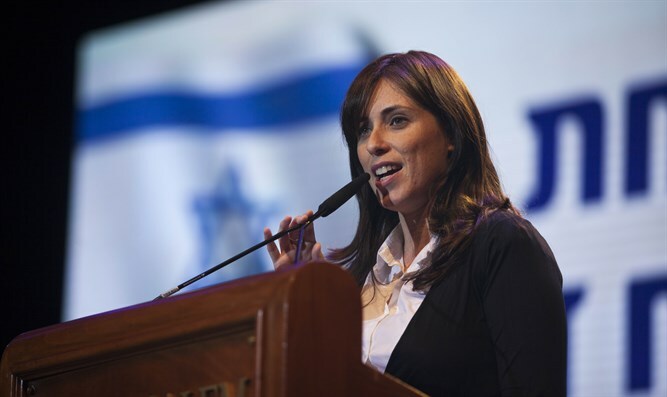 According to Hotovely, "Throughout the years, at least since Netanyahu returned to power, we have demanded that the Palestinians stop the incitement to terrorism and that the Palestinian Authority stop financing the families of terrorists. We have engaged in this campaign, and some European countries responded to our request to reduce the amount of funds they transfer to the PA, which receives more foreign aid per capita than anywhere else in the world. Also on the issue of recognition of the State of Israel, this has always been the case [that we have demanded it] in our dialogue and negotiations with the Palestinians. Our basic expectation is that they recognize Israel as the nation-state of the Jewish people, that we have a historical right here and not only that there happens to be an entity with that name on a map. Our demands are on the PA as well, not just on Hamas." Hotovely stated that the signals coming from the White House indicate that the Trump Administration understands the Israeli position, even if this is not explicitly stated. According to her, the main focus of US-Israeli cooperation is on the Iranian threat, and not on the Palestinian Authority. "There are red lines for every country when it wants to negotiate, and in any normalization negotiations, red lines must be drawn. This embrace and partnership with Hamas, which is more than just a political partnership, is just such a red line. Israel cannot remain silent about, and the Americans understand this. We have not heard any reactions in the US against this move. [Instead] we see support from the US, and the most important issue that concerns us at this time is the Iranian issue," said Hotovely.